Hip-hop fans are mourning the loss of Adam Yauch, otherwise known as MCA, who passed away after losing his battle with cancer late last week. One of the three members of the Beastie Boys, Yauch will surely be remembered for his music and for his role in broadening the base of hip-hop’s reach. But Yauch was much more than just one of the first rappers to show that hip-hop did not need to confine itself to narrow racial boundaries. He was also the force behind the Tibetan Freedom Concerts that spanned a multitude of countries between 1996 and 2001. At the Tibetan Freedom Concerts, some of the biggest names in popular music—from the U2 and the Red Hot Chili Peppers to Rage Against the Machine and A Tribe Called Quest—came together to perform in support of Tibetan social justice. 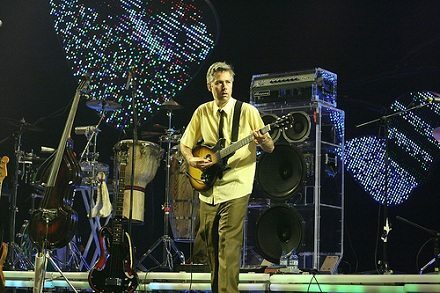 In the liner notes to a 1997 compilation album of Tibetan Freedom Concert performances, Yauch explained that “the tricky thing about making donations is following up on how they’re used,” which is why, he wrote, the Milarepa Fund was created; the fund distributed proceeds from the concerts to support social justice activism in Tibet and the first concert alone raised $800,000. Yauch also expressed his hope that his young fans would help make a free Tibet a reality, noting that, because the Tibetan struggle was nonviolent, “truth it their only weapon.” “The youth of society have traditionally held the role of watchdog against injustice,” he wrote.